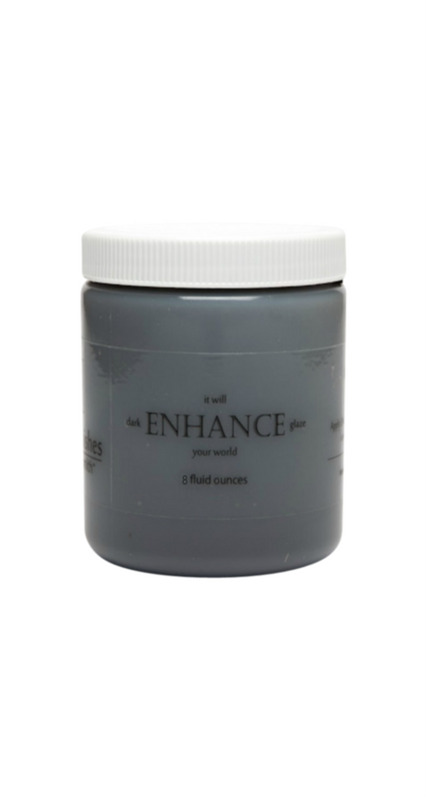 The Enhance Glaze products are used to give a painted piece depth and dimension by bringing in an additional color. ENHANCE DARK GLAZE is fairly close to the gorgeous color of TIMELESS, a rich neutral gray. It is beautiful over every COLOUR in the VF line. It’s even beautiful over the TIMELESS paint COLOUR, as it just gives a Timeless painted piece, a little more depth.